Bengal is coming with Tara Tiny, a car which could give the Nano a run for its money, literally. And, to top that, it’s a battery-operated green car which will cost just around 50-70 paise for every km. Tara International, an arm of the Bengal Enamel, is coming out with the world’s cheapest car with a cheeky Rs 99,999 price tag. Tara has teamed up with China’s $1.5-billion Aucma, a leading player in the electrical vehicles and appliances segment, to source components for this dream car. When Colonel Dwijendra Bhattacharya set up Bengal Enamel in 1921 with nationalist leader Acharya Prafulla Chandra Roy as its chairman to make enamelled ware, plates, mugs and waterbottles for households and the army, none had imagined that Bhattacharya’s grandson Tara S Ganguly would conjure up an auto project 90 years down the road. The company had downed shutters in 1991, buffeted by competition and gone the BIFR way. Thus, even as Bengal charts the revival path, a leading homegrown Raj era corporate brand has turned around in its own way. Today, Bengal Enamel has seven outfits in its stable with interests that spread across new-age areas like animation, computer games and telecom towers among other ventures. But now, get ready for Tara’s Tiny and a mix of electrical vehicles. Going by plans, the four-seater Tiny should roll out in the next four to five months. In step, the company targets to unveil three other electric car labels which will be branded as Tara Titu, Tara Micro and Tara Mini. “At the moment, we have decided on brand names for only the cars. Together with the cars, there are also buses on the anvil. Initially, 60-70% of the components will be imported in CKD condition from China’s Aucma. Move over Nano. A cheaper car will soon hit the Indian roads. Priced at Rs 99,999, the four-seater Tara Tiny will be a battery-powered vehicle, said a recent report in the Economic Times. Kolkata-based Tara International has teamed up with China's Aucma, a leading player in the electrical vehicles and appliances segment, to manufacture this car. The company plans to launch Tara Tiny by June this year. Any photographs of the Tara Tiny prototype have not yet been made available. Besides Tara Tiny, three more cars -- Tara Titu, Tara Micro and Tara Mini -- are also in the pipeline, said the ET report. 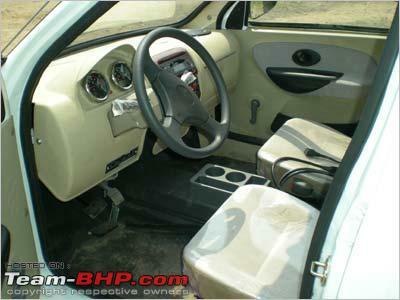 The ex-showroom prices of these Tara cars will be between Rs 99,999 and Rs 500,000. The vehicles can be recharged daily at 220 volts through a 15 amp socket. The electrical vehicles business is seen to generate a turnover of Rs 15 crore (Rs 150 million) in 2008-09 and about Rs 50 crore (Rs 500 million) in the second year. According to Tara Shankar Ganguly, the group chairman, the company also has plans to introduce buses and electrically power two- and three-wheelers. While the two-wheelers will be in the range of Rs 9,999 to Rs 30,000, the three-wheelers are likely to be priced between Rs 85,000 and Rs 180,000. 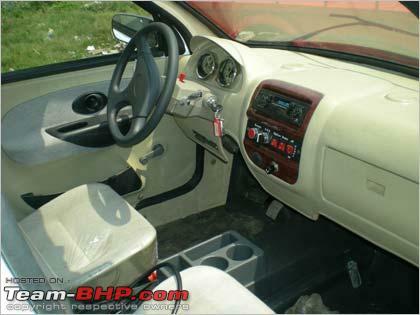 This is what I came across at Rediff about the TARA Tiny - The electric car! 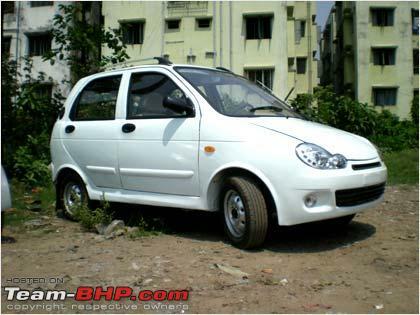 Tara Tiny @ Rs 99K is the world's cheapest car! While 30-40% of the parts are going to be locally produced,” Tara Shankar Ganguly, group chairman, told ET. He was speaking to ET on the sidelines of the three-day Environment Partnership Summit organised by the Indian Chamber of Commerce from Thursday. The price tags of the four-wheelers should hover between Rs 99,999 and Rs 5.5 lakh. “This is the ex-showroom price to which will be added VAT and other taxes. The four-wheelers are slated to be totally indigenised in two years. We will follow a business model where a network of integrated manufacturers will be involved in the production process. This will encourage young entrepreneurs,” Mr Ganguly said. Tara International’s facility is located at Palta near Kolkata. In the run-up to the four-seater and three-seater four-wheelers, the company will introduce battery-operated two-wheelers which will be completely indigenous, Mr Ganguly said. The third stage of the project will find three-wheelers like auto-rickshaws. The three-wheelers will see existing fossil fuel vehicles being converted into electrical units. “While the two-wheelers are in the range of Rs 9,999 to Rs 30,000, the three-wheelers are aimed in the bracket of Rs 85,000 to Rs 1.8 lakh,” Biswajit Das, vice-president, projects, said. “The operating cost of the battery-operated vehicles, pegged at 40-70 paise for every km, is one-fifth to one-tenth the expenses that fuel transportation entails,” Mr Ganguly added. The four-wheelers are expected to travel at a speed of 50-70 km an hour. The vehicles can be recharged everyday at 220 volts through a 15 amp socket. Based on projections, the electrical vehicles business should generate a turnover of Rs 15 crore in 2008-09 and Rs 50 crore in the second year. Marketing of the vehicles will largely focus on the eastern and southern regions to begin with. Around 1,000 cars, 5,000 two-wheelers and 500 buses/lorries are scheduled to hit the roads in the first year. At present, Bangalore-based Reva is manufacturing battery-run cars while Ahmedabad’s Electrotherm is churning out electric two-wheelers. 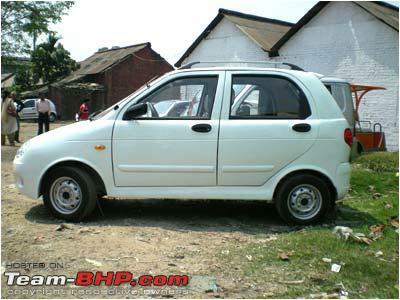 It looks like no one had the idea of their own to make a cheap people car, till Tata thought so and made it. I guess there will be atleast 10 cars to choose from if a person has a budget of less then 2Lacs, now soon Rhino will have a 1Lac car. Comparing Nano to Tara is slightly unfair, since Tara is a electric car like Reva. Unlike Reva, Tara is priced significantly lower. So it might be a much better success. Both reva and tara do not have good dealer network, so that might be a issue. All in all a very good development. 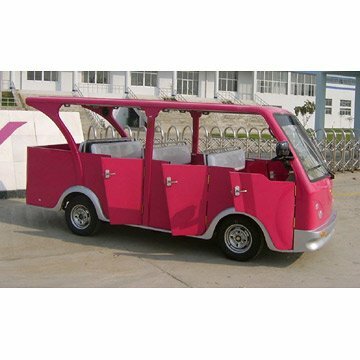 Don't know how many will like to buy a reskinned electric golf cart. Let's wait for the car to show up first. The details are too sketchy right now, with not even a prototype out yet. Or should we call another another imitation!!! Tata's Nano with a Compressed Air engine would definitely be a better bet, if it ever comes. That too would run on electricity without the worry of having to change the batteries. Somebody is making screwdrivers ready to assemble a kit from China. Hmmm...What's the big deal man? Now, everybody has joined the band wagon of Tata's Nano. Everybody wants to make cars for 1Lac. And atleast I do not believe the cheap parts from China will stand up to the wear and tear the car will be put in. The infrastructure here will definitely give it a thumbs down. Anyways, lets wait and see what this is all about. @ undead: Do you have any other details of this other than the one you have posted here. lets hope for the best.. be positive..they are trying to do something ,and its electric. We cant expect too much quality or reliability from just a 1 lakh car ..if the car is able to withstand our indian roads for some 5 yrs or 50000kms its acceptable.. we r saving our mother earth too ..
@snaronikar : i cant find any other details..but hope that we will get an update on this soon..
Can't see this catching on in rural areas. In northern Haryana villages we get power cuts in the winter so I guess we would have to charge using a generator which in turn uses diesel. Might as well buy a Nano in the first place. I guess in the summer during paddy season we can just put the car away as there it is rare to get electric during the day. I suppose you could charge at night but say you went somewhere and it needed a charge to ge back home, you would have to stay a night everywhere and relatives would soon get bored of you. Just had a look a Aucma's web site. Their so called electric cars are just fancy golf buggies. Below is their pasenger car. If they want 1 lakh for 3rd rate designs like the one above that then they must be kidding themselves. Last edited by bigman : 17th February 2008 at 16:10.
can the battery unit in the electric cars be removed and charged at home ? otherwise how do ppl in apartments charge the cars ? would need a really long long cable..
we are used to reliable motorcycles worth 30k. so why not expect the same from a 1L car? 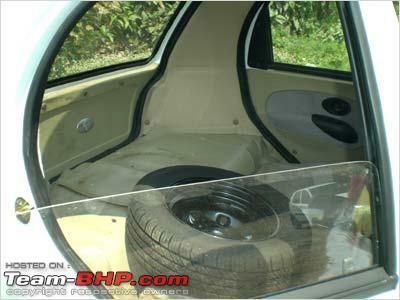 ..if the car is able to withstand our indian roads for some 5 yrs or 50000kms its acceptable.. If they do manage to last that long, yes.. they'll sell. But they'll have to make sure that it looks like a proper car. Anything lesser (golf cart with roof) will simply not do. that aside, mr.maini, please reduce reva prices else you are gonna be written off sooner than later.